Forever Flawless Review (UPDATED 2019): Don't Buy Before You Read This! Forever Flawless is a line of anti-aging products designed to reduce the appearance of fine lines, wrinkles, and dark circles by boosting natural collagen production. The product claims to use the most advanced age-defying technology to bring luxurious spa-type treatments into the convenience of your own home. All Forever Flawless products contain diamond dust powder in their proprietary formula that is supposed to aid in microdermabrasion and cleansing abilities. Micronized diamonds are said to penetrate and revitalize the skin from the inside out, as well as provide a healthy, radiant glow. 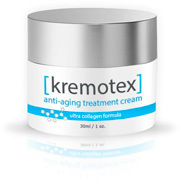 Matrixyl Pentapeptide: Anti-aging peptide that promotes collagen production and skin healing. Hyaluronic acid: Natural glycosaminoglycan with exceptional skin moisturizing and healing abilities. Shea butter: Antioxidant with superior healing and moisturizing properties. Diamond Powder: Used in skin care and cosmetics for their exfoliating and brightening properties. Avocado Oil: Natural antioxidant, moisturizer, and sunscreen. Green Algae: High in protein and fatty acids, helps to tone and lift the skin. Excellent natural hydration properties. The Forever Flawless ingredients are listed on their website, which is helpful for anyone concerned with the quality of their skin care products and what nutrients they provide. The scientific formulation combines some of the best and most effective anti-aging ingredients found on the market today, like Matrixyl, and Shea butter, both well known for their age-defying properties. The most intriguing ingredient, however, has the least published research and scientific data behind it. The natural diamond powder touted in all Forever Flawless products purports superior microdermabrasion and cleansing abilities, as well as natural brightening properties. While it certainly adds to the cost, there is not enough science-backed evidence to prove the precious gem dust contributes anything more than just that. One advantage of the Forever Flawless formula has over some other anti-aging products; it is paraben free, and has a lot of natural key ingredients. High price and uncertainty about the diamond powder aside, there are many other proven ingredients in the formula that will provide age-defying benefits. The business of Forever Flawless is Forever Flawless LLC., headquartered in Las Vegas, NV. There are many complaints against Forever Flawless LLC, especially regarding their autoship subscription programs offered by the website. You must agree to this service to take advantage of the free trials. There are also many reports of high pressure sales tactics, and no mention from the salespeople that no refunds are given. Customers are confused by the distribution of Forever Flawless by independent third party businesses, and do not realize that their prices and terms of returns and refunds are not the same as what is offered when purchased from the manufacturer. Anyone who learned about Forever Flawless through a demo or information provided by a retail salesperson, please note that Forever Flawless LLC does not operate retail locations. If they encounter a salesperson selling the products at a retail location, interested consumers should beware of high pressure sales, and they are advised to clarify any terms of service or returns policies with the salesperson before making any purchases. A concerning point about the company and brand website is that it does not offer very much information about the science behind their products. The ingredients are listed, which is helpful and always welcome, but not much is offered about how they work to help your skin look and feel better. Another concern are the customer reviews and opinions. There are seemingly only glowing reviews on the website, but a very large portion of the customer reviews found elsewhere on the internet are neutral and negative. It raises questions about whether negative reviews are being filtered, and if any safety concerns are being suppressed by the company. One positive aspect of the company is that they have good after-sales customer service. Several customers have reported various issues that were handled promptly and satisfactorily, including problems with third party distributors. As per their terms of service, Forever Flawless LLC is not required to resolve any issues with products not purchased directly through them, but they do assist as best they can. All skin care products affect everybody’s skin differently, so until you try it for yourself, you won’t know how it works for you. Fortunately, there are many online reviews of Forever Flawless available, allowing consumers to make informed decisions about whether or not it is worth the money and trouble. Reviews range from positive to neutral to extremely disappointed. Many negative customer opinions result from their auto-ship program experiences and aggressive sales tactics of third party distributors, but countless others say that the product just doesn’t work, or doesn’t work as well as the price suggests it should. 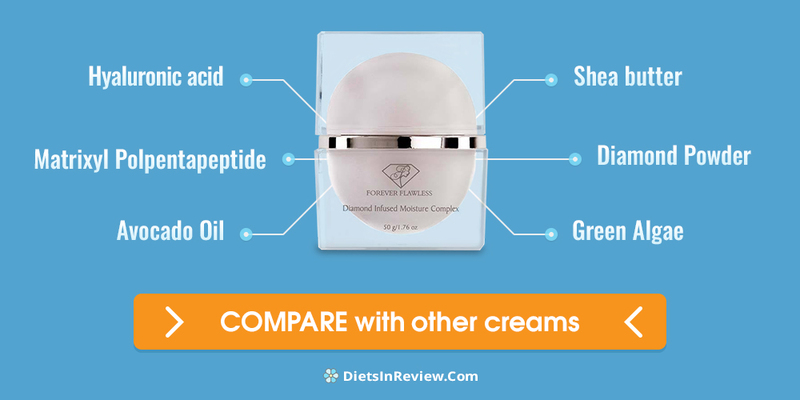 How Does Forever Flawless Compare? Conclusion – Does Forever Flawless Work? 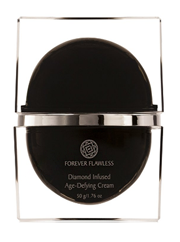 Forever Flawless promises many anti-aging benefits, like the reduction of fine lines and wrinkles, improved collagen production for noticeable skin firmness and lift, and a radiant glow. Many of the ingredients in the formula have been proven to provide anti-aging properties, so chances are if you tried it, you would experience some positive benefits to your skin. There is simply not enough evidence, however, to prove the diamond dust performs as they claim, or how much is actually contained in the formula, and the lack of information on the website about the science behind the products is concerning. For such a high price point, research backed evidence, clinical trials, and unbiased testimonials would do more to prove its value than vague claims and deceptive sales tactics. I was taken in by a very aggressive salesperson. Bought way more than I wanted, tried to take it back, ashamed to say. I was taken in with a different approach.. Since October, I have been trying to get my money back. I have contacted the shopping center, the store, the BBB and now the attorney general office in Missouri. How can companies treat customers this way…..I have had serious medical issues during this time, that has slowed me down, but I am still hopeful the company wants to do the right thing. If not maybe I can save someone else…..it is simple to me. Keep your customers happy. Stand behind your product. Can you please let me know what your attorney has to say. I am from Canada and when I tried to return my items and I contacted them within the 14 days, they still will not refund. I am ashamed and shocked that this even happens. I cannot believe they can sell this and not stand by their product. They wear you down, but I just can’t find it in me to let them do this to people. Please let me know if you have a contact there that can help me with putting a stop to this. 1 gel peel for $313.00 and try to give me facials after that try to sale me moisture for $300.00 I said Nooo and give me for $100.00 . So I spent $413 for that I don’t think is right no price on the bottle. Stay away from forever flawless. To say that this company is fraudulent is a SEVERE understatement. They are selling snake oil with high-pressure sales tactics. I was actually told that there was NO WHEAT in the product, but guess what? Wheat germ oil. Even after photographic my severe allergic reaction AND documenting a text exchange with the company that showed I tried to return an UNUSED, UNOPENED box of the product, Visa turned down my dispute. Visa does not take photographs as evidence and required a “second opinion” regarding the ingredients—they wanted me to take the product to be analyzed by a lab…for thousands of dollars. Stuck with the product, I then took it to my dermatologist and she chuckled upon seeing the box and said, before I said a word, “That stuff is worthless, I hope you didn’t pay too much for it!” Color me embarrassed. And broke. And disappointed that I fell for such a scam. So Visa WILL NOT help you with a dispute and FF makes it impossible to return. DO NOT buy this ridiculous stuff—I learned a valuable lesson the very very hard way. Embarrassed to say I fell for this scam hook, line, and sinker! Cannot believe I actually spent $2000 on this thanks to a very aggressive and convincing sales person! I bought this at a mall store and read here that Forever Flawless does not operate retail stores. I’m sure there may be some anti-aging benefits to these products but they are definitely not worth anywhere near the price I paid! Stay away. You can find much better products for a lot less money. Lesson learned. Never, ever buy the Forever Flawless line of products. The only flawless part is the fast-talking sales pitch of the con-men who sell this garbage. I was in the Carlsbad, CA, outlet mall while on vacation in a good mood, enjoying the day, when I was corralled by this smooth talking con insisting I try these ‘amazing potions’. At no time was the No Refund policy ever mentioned and I am convinced their sign was conveniently placed out of my line of sight while I was pressured into buying product that is mediocre at best. After realizing I wasn’t going to get any refund or satisfaction from this slick talking vendor although I was repeatedly promised I would be completely happy, I have tried to use this insanely overpriced product that I am stuck with either using or throwing in the trash. The facial peeling gel gets stuck in the fine hairs on your jaw line and you will have to painfully pick it out piece by piece. I find the moisturizer not to be very moisturizing and leaves my skin unpleasantly tight and itchy. The makeup remover doesn’t. The other serums leave your face feeling sticky or there is no discernible difference. I haven’t used any of it that I would say ‘Wow’ and recommend it to anyone. By the end of the day I can’t wait to wash this crap off and I don’t have sensitive skin. So if you run into these guys (they seem to be in all the malls), don’t walk, RUN in the opposite direction. I am embarrassed that I bought into their con and I am writing this to hopefully save other gullible, trusting shoppers from being cheated by these disingenuous, disreputable swindlers. Well I got scammed today then, I’m so mad at myself for letting this happen… I was in the mall, and ushered into a forever flawless store. Of course the salesman said I was so beautiful to have lines under my eyes..I told him I was sick.. well next thing you know I had a serum applied under my eyes. I asked how much? $400.00 I got up from the chair. He sat me back down, and said I didn’t have to buy anything.. then another serum was applied.. also $400.00. Got up again, then he started his sales pitch again, offering the one serum for $100.00… well I’m sure you can guess what happened. I walked out of the store bag in hand with $100 serum!! It’s really a shame these people get away with this. I was walking with hubby, our two kids and niece and my mom when a sales person handed me a sample. I said thank you and with her voodoo magic she made me go inside. I don’t even know why I walked in…I didn’t even get a chance to let my family know I was going in. She made me exfoliate my hands and commented that my hands were dirty since the water was not clear. Thanks–I’m running around all day in the mall with 3 kids! Sure my hands felt nice and soft but I don’t buy that 7 layers of skin were exfoliated and my hands will be this smooth for 5 days. (didn’t even last the night) The jar was 100$. No thank you! She said let me give you my card. So I walked with her to the cash where she pretended to actually “try” to get me a better deal. She said she liked me so much and wanted me to have it. Ok…i’ll give it to you for 40$! I probably wouldn’t have even bought it for 10$ since I just spent so much on kids clothes. She told me to come back and she’ll do something about my nails. I seriously felt like she was insulting me..they’re not even that bad! How could it cost 100$ and the next second just 40$? What is it really worth? Uhhhh i’m so glad I didn’t buy into this crap! I will never pass in front of that store again! Wow, the exact same situation happened to me today too! She asked me to come in, did the whole speal, and when I said I had to think about it, she tried to make me a better offer by adding in a cream. I felt insulted because she said I know it’s the holidays, money can be tight. Ummm no that’s s not the reason! When I say I’d like to think about a product before purchasing, its because buying this product was not in my afternoon shopping plan for the day! Plus honestly I don’t know what she was taking about because I think my skin is so much better than hers, and she made me feel as if my skin was awful. Thank goodness I stood my ground and had enough confidence in myself to say that I don’t need this product. Ladies NEVER feel embarrassed to say no to a product if you just don’t feel like buying it! It’s yourmoney after all, and chances are that these salespeople couldmt even afford a jar of this cream on their salary! I was surprised at the $400.00 price tag for the eye cream but then she “gave” me the exfoliating cream and moisturizer for “free”. When I complained about the price, she dropped it in half. I really like the eye cream and exfoliator. For anyone reading these comments before trying the products, I urge you to reconsider. Quite a few years ago when I was in Hawaii, little 17 year old me was pulled into the store after a bag I was carrying back to our room broke and the guy working picked up my stuff…and took it with him into the store. I thought he was just grabbing me a bag or SOMETHING but no, he proceeded to sell me close to $500 worth of things I kept turning down. Eventually he needled me to buy it so hard, that he sent me into a full blown anxiety attack and me just wishing to get out of there, paid for their terrible products and left the store crying. My mother returned with me and he refused to give us a refund, even after my mom explained that he sold it to a minor by very aggressive means. He just laughed and proceeded to lie saying I was very on board buying everything and that I came up with that story after my mom found out how much I spent. The entire event has really affected how I act around salesmen now and I either go into a mini panic attack or I act with hostility which is so very rude on my end, but I cannot help it. I’m 23 and terrified to go to the mall by myself just because I’m worried a salesman like the ones at Forever Flawless might corner me. This says nothing about their overpriced mediocre products, which I still have, 7 years later, that have done nothing for my skin. I have a much better facial scrub from Sephora that does not hurt your face or cost a weeks worth of wages. Please do not support this scam of a company who uses agression to sell their products. I was on a cruise which stopped in Puerto Rico. While strolling around the streets, my mother in law and I were approached by a salesperson. He wanted to demonstrate his product for wrinkles on my mother in law. We were impressed and I convinced my mother in law to purchase. I asked him if he had a product for dark spots which I purchased. He gave us lots of samples of body creams which the amount given really surprised me. Looking back, I now realized it was all a scam. I actually bought a trio of products which included the dark spot corrector. I began to see a change in my skin texture which was not good so after two weeks I stopped all products. I now realized that I bought $300 worth of dubious products. My mother in law spent $1300. I just saw a show on the sale of fake products which are packaged to look expensive and I thought of this store in Puerto Rico. I wandered about their products and I am happy that I decided not to to use even the body creams. Like most reviewers I also experienced very high pressure (hawking people walking by and inside the store) at the Forever Flawless store in Caesars Palace in Las Vegas. But once I tried the A.M. moisturizer, I loved it! I am 65 years old and this is THE BEST I have ever used. I can’t feel it on my face. HINT: put it on your wet face for smoother application and it takes less this way. Also when you get to the bottom of the jar use your fingers to get much more out of it (forget the little spatula at this point). I now look for cheaper prices online like Amazon or Ebay. I completely agree that the Forever Flawless products are highly over-priced and the sales people are very aggressive. I feel completely taken and have spent a fortune with minimal results. In fact, I have two new red flaky patches on my face which I never experienced before using their products. I am too embarrassed to complain. I just learned a very expensive lesson. I walked past the store in Singapore yesterday and the girl pulled me in and put something on my hand immediately. I had no chance to walk away because she said let me wash it for you and show you. WTF GIRL. I have seen this tactic before so I stayed firm and she kept talking. Reducing the price again and again. Ridiculous store. My friend and I experienced Forever Flawless at The Aria in Las Vegas. The serum she put on us totally took our eye bags away but our faces felt like we’d applied Elmer’s Glue! She then began a very high pressure sale to get us to just buy from just her. We left and within ten minutes my face looked like it had been washed in flour. Couldn’t wait to wash it off!! I asked directions to a salesman outside the FF store at a mall & before I knew it I was sitting in a chair as he applied under eye stuff… after a few mins. He said look! You look so young & beautiful! Are you married? Do you want to date? All the men will see how beautiful you are. Told him I have a partner… oh I’ll give him wonderful aftershave etc. price went from $2500. To $900. For a bunch of products. I told him I didn’t have that much credit on my cc & before I knew it he took it to the register to see if I had any credit to use… what he did was charge me $1200!! I told him to take that off immediately that I did not tell him it was ok to charge that stuff! I saw No Refund on the slip but he cancelled the sale. I knew this was scammy sales & got out of there with $300. Products…Checked products prices on line & with a freebie manicure set he gave me (after demo) I came out ok. He gave me a slip of the $1200. Products now reduced to$750. That I can pay when I go for my free facial! Lol. I am skeptical about this facial as he said it is hot & some sort of dermabrasion… I have great skin & don’t want to f—— it up. By the way I am 70. He guessed 57. I should have told him I was 50 & see what you can do w this! My experience is probably the one above. I forgot to mention I never did get the under eye stuff that seemed to work. One of the products was a “serum” that came in a giant syringe like tube. I guess this stuff lifts the skin & after a year I will never need it again! But the payoff is it wasn’t a FF product but from Lionesse. He presented it to me like a Vanna White might in a “luxerious” box with silk lining like a mini casket! I’m completely embarrassed to say how much I spent on these products. Been using for a month and my skin feels dry, damaged, sensitive and more wrinkled than before using it. Their sales tactics are 20x worse than unscrupulous used car salesman. I can’t believe I fell for it. Was told I have 12 FREE facials at the “luxury spa” in the mall included with my purchase. And free refills for a year as well. I’m afraid of going back there for any reason because they’ll just used the high pressure tactics again. Since their store is located in a high end mall I felt fairly secure they would be reputable. Boy was I wrong! There should be a class action law suite against malls that allow such deceitful predators to attack their customers. Shame on them but mostly shame on me for falling for this crap. Shamefully scammed – at least I drove a hard bargain? They suckered me in to show me a product to help with the dark circles under my eyes. The gentleman named Dominic was very nice to my kids and I was genuinely impressed with the quality of the product. Then he told me the price – $600 for two containers of stuff. He said, “Today only because I like you, you can have both for $300.” I scoffed at the amount and was about to walk out when he asked me if I had any other concerns. I have eczema on my legs, so I mentioned it. He showed me another product that is basically a shower scrub and another thing of body butter. He says, “if you buy the eye care system, I throw this in for free, normally $149 each.” So now, he’s offering me $900 worth of stuff for $300. I’m like “It’s still $300. That’s a lot of money for creams and face wash.” Determined to get his sale, he says “I throw in face scrub and lotion for free, normally $199, and also a complimentary facial on me, which is normally $99.” So basically $1200 of product and service for $300. I decided to go ahead and buy. I schedule my facial for the following day. The next day I get there, and Dominic isn’t there. Another woman with a thick Eastern Bloc accent who says she is the manager and seems confused, saying that Dominic told her that I texted him and canceled my appointment. She then says, “no matter, I take care of you.” Before starting the facial, she starts to go over the items that I was already sold the previous day. She asks me about the eye care system and why I didn’t get the weekly applicator product. Confused, I told her that Dominic didn’t show me any other product, and stated what he sold me *was* the weekly application. She says, “he must have gotten mixed up. What you bought is to be used daily in morning.” I tell her that I have no interest in buying anything else, and let’s just do the facial. Now, I gotta admit, the facial was awesome. But afterwards, she starts talking about the eye stuff again, and saying how it’s $700, but she would let me have it for $150, or, for free if I sign up for 6 more facials at $50 each, normally $99 a session. At this point I realize I’ve been completely duped and say no thanks, and leave. I’m glad I’m only out $300, and not thousands like some others on this page. I was pulled in sold some product and was given a coupon for a “$100” facial!!!! After the friendly Happy supposedly maker / creator of one of the products gave me the facial did his sales pitch ( nicely) came the high powered pressures sales. After I said no on the facial product for $2500 he walked right out and disappeared. Frankly he left me in a room alone with from what he claims was hundreds of thousands of product, but I didn’t like it. Claims would clear my pores and barely pulled a drop of dirt and his facial expression said it all “SURPRISED”. So leaving the place of business as I came in minus 1 facial treatment never to return again! Paid $324 for this at a kiosk in Temecula. Got it for a friend. Salesperson tried the skin tightening cream on my eyes. I saw no difference but I’m 72 years old. My friend is in the salon business and so I asked her if she thought I should get it for her. I did. Unfortunately, she said it did nothing for her that any other moisturizer would do. She used it twice and had nothig good to say about it. Kiosk was gone 3 weeks later. Important to remember that most skin creams are moisturizers first, and not much else. They now can reduce puffiness in certain areas, but the ingredient that works is usually glycerol, glycerin, or some other form of glycerin.